ACT QUICKLY BEFORE DATES SELL OUT. Available until the 31 st March 2019. This special is not valid over Easter, school or public holidays. Sit back, relax and let us take care of you. Unwind in the contemporary comfort of your apartment, watch the world go by from balcony. All apartments feature a lounge area, a fully equipped kitchen, laundry facilities, entertainment system, free Wi-Fi and large bathrooms and have a balcony with outdoor seating. Relax by the 27° heated pool and hot spa. My wife and I stayed for a week at this accommodation. There was nothing not to like about the stay. Roomy accommodation, a beautiful ocean view that was stunning at dawn. The Burley Heads shops are a very short walk away. Some of the most secure parking you'd get anywhere. Clean, quiet, and comfortable. I'd definitely return. We had a 3 bedroom unit, with an ocean view. The unit was exceptionally clean. The staff were very helpful and nothing was a trouble to them. I would highly recommend Ambience on Burleigh Beach. It is close to James Street, the restaurant downstairs has excellent food. Cannot fault this accommodation. The apartment was great which we got at short notice….large king size bed which was a bonus and a very spacious apartment. Great customer service…Very close to everything which is great for 80-year-olds. We will stay there again when we return to Burleigh Heads. Almost too scared to rate it too highly as I don't want it too busy next time I return!! I can't really fault this place. My apartment was clean, modern, lovely and spacious and well kept. Location was central and beautiful and I was surprised by the silence at night despite being so well located. 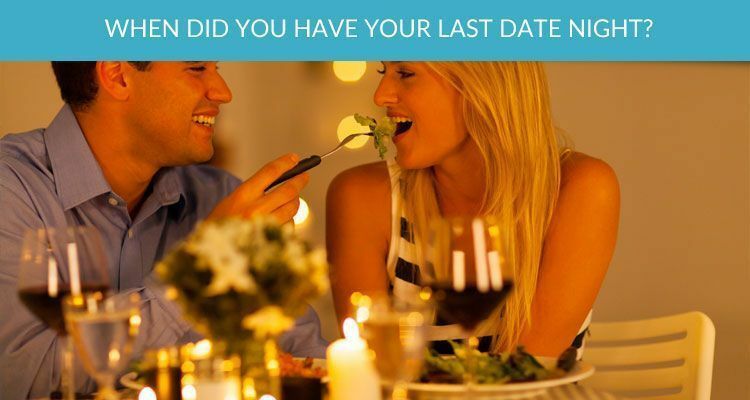 Everyone deserves a date night. Spoil your special someone and let us take care of your accommodation while you go for a stroll along the beautiful Burleigh beach in your front yard or grab some connoisseur delights from the wide range of Cafes Restaurants and bars. Free Yoga and Tai Chi Saturday, Monday and Wednesday morning at Burleigh beach. Just one of the regular free activities on the Gold Coast. Burleigh is becoming a 'Must Visit Spot' Then check out Burleigh Bakery at the top of James Street for coffee and THE BEST MUNCHIES. F+H Jewellery, Grace Bijoux, Children of the Tribe and Kivari have all traded there) plays host to 100+ incredible boutique market stalls in fashion, vintage, art and lifestyle, as well as street food, live tunes and a monthly pre-loved designer and vintage Rack Sale. A low-lit, moody vibe is what you’ll find upon entering the 100-seat space and there are plenty of eye-catching features. The ceiling is covered in greenery with colourful paper lanterns dotted throughout, artwork depicting traditional scenes adorn one wall and a dark, somewhat magical laneway is your new favourite spot for Insta-snaps. Most excitingly of course, is the food. Unlike anything else on the Gold Coast, the menu is straight from the creative mind of Mr Jon Hizola, formerly of Hideaway Kitchen and Etsu Izakaya fame (plus, you know Nobu in Perth) and yes, the man behind the venues’ name. So the deal is share-style dishes, and good luck because there are way too many to taste. Luckily there’s a banquet for $50 per person so you don’t have to choose. Cantonese food traditionally comes from China’s Guangdong Province (south west) and it would seem the food is quite a treat. 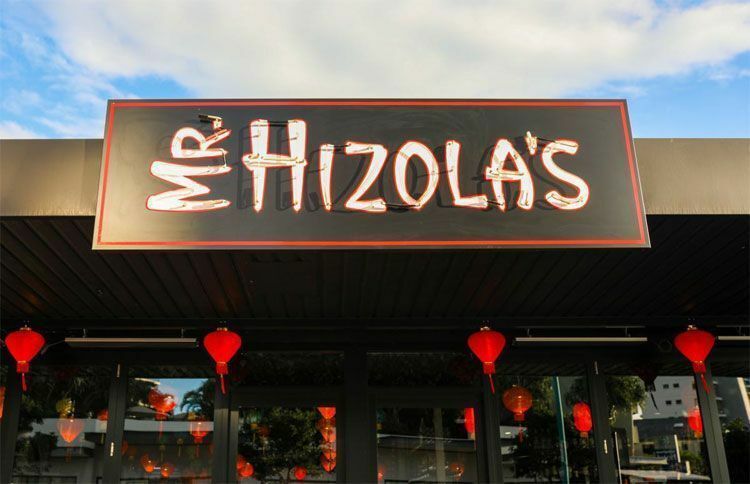 Mr Hizola’s menu is organised into sections including Dim Sum, From the Sea, From the Coop, Noodles and Rice etc. making for ease of ordering. Sizzling typhoon shelter Mooloolaba prawns is a dish drawing inspiration from the Mongolian-influenced areas of northern China and it’s laden with chilli and nuts and the prawns are as big as your face. Yes please. The Chicken Gai Jik Pang (chicken drumstick) with sweet sour sauce has been described by someone who apparently knows a thing or two on the topic as “the moistest wing you’ll ever pop in your gob”. For lunch, it’s a yum cha-style situation with plenty of delicious favourites to fill your belly. The wine list has been carefully curated with choices made to complement the dishes and of course, a creative cocktail features the usual suspects plus some Chinese-inspired treats you’re going to love. Oh, one more thing. The menu has been designed to ignite all five of your senses so expect fire, theatrics and plenty of good times. 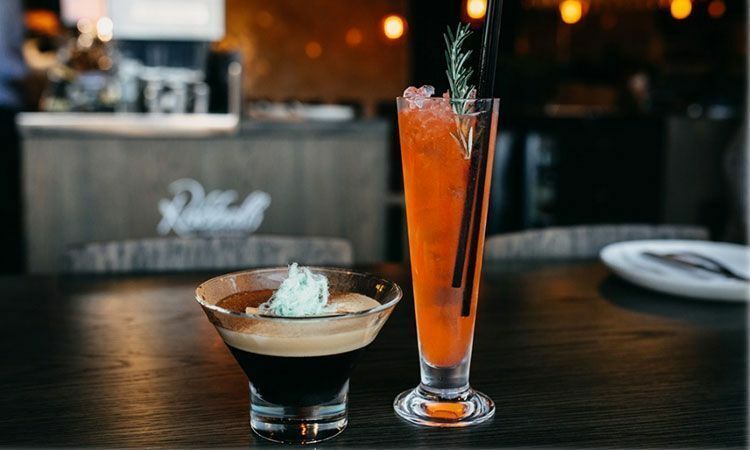 Osteria del Mare is nestled along the Gold Coast Highway in very good company, sharing the bustling strip with the likes of Iku Yakitori Bar, Jimmy Wah’s, Justin Lane, Harry’s Steak Bistro and the newly opened Mr Hizola’s. Taking over from the former Euro Grill burger bar, the new eatery offers classic Italian fare in a casual coastal-inspired setting, serving brunch (hello, truffle bruschetta), lunch (pleased to meet you, pizza sandwich) and dinner (ciao, charcoal lasagne). Chef Andrea and his wife Simona Focaccia (what a glorious surname) have created a menu that gives classic Italian fare a fresh new face. The duo are rolling out an Italian-style brunch menu, which not only serves a series of tasty bruschetta combinations, it also introduces us all to the pizza sandwich. Yes, a pizza sandwich. It’s basically a super light and crispy pizza-dough bread, which is filled (just like a sandwich) with scrambled eggs, bacon, mozzarella cheese, baby spinach and mayonnaise. 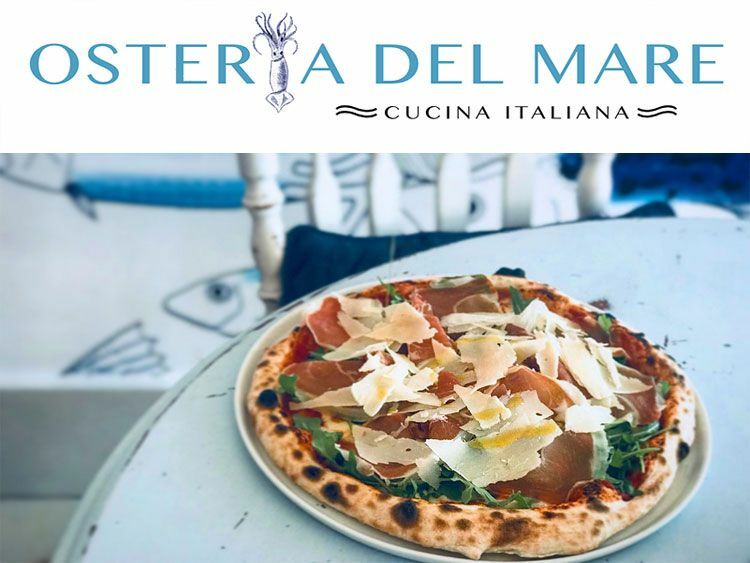 The pizzas and pastas roll out for lunch and dinner, alongside a selection of antipasto offerings, fresh Italian salads and share plates like the fritto misto with deep-fried calamari, prawns and zucchini. All of the pizza bases are stretched and hand rolled daily, while the likes of the gnocchi, tagliatelle, pappardelle and activated charcoal-infused lasagne sheets are made from scratch and cut by hand to create a rustic and very authentic pasta offering. It doesn’t end there – you can keep in with the coastal vibe with the chargrilled yellowfin tuna steak with olives, capers and basil, or up the ante with the Tagliata di Manzo, a charred dry-aged black Angus sirloin. The best way to finish? An affogato with vanilla-bean gelato. There's nothing more memorable than a beautiful, intimate wedding or vow renewal on white sandy beaches and golden coastal sunsets. Burleigh is one of the most romantic settings for a wedding, and Ambience Burleigh Beach Resort is proud to offer onsite celebrant services for our guests who celebrate their wedding here with us. Our onsite registered marriage celebrant, Bronwyn Brown (Kindred Spirits Celebrant), can help you shape your perfect ceremony. There's no need to spend hours searching for a Gold Coast Marriage Celebrant for your destination wedding – Bronwyn is here to make your wedding easier. You'll have the opportunity to connect, plan and create your ideal ceremony ahead of your check in date, with all the worry taken care of from the moment you arrive. 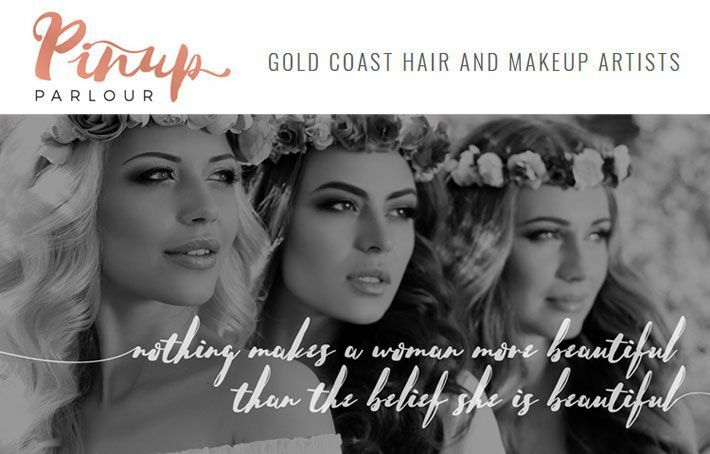 Pinup Parlour, your gold coast hair stylists & makeup artists, started with Candice Flanagan’s dream to create a mobile Business using her 19 years’ experience in hair and makeup artistry. Candice has had an incredible career working in highly renowned Salons and Modelling Agencies. She has taught hair and make-up & deportment and Grooming courses and completed High end Fashion shoots for magazines, television and Runway. A big part of Candice’s work is weddings, having made hundreds of brides and bridal parties across Australia look incredible. Pin Up Parlour is passionate about making all age groups feel their best! Whether it be School Formals, Hens parties or even Little Princess Parties you will be thrilled with the results. We also offer short courses which can be tailored to suit individuals or group of students. Your gold coast hair stylists and makeup artists love to help each and every girl feel their most beautiful! Oxygen Australia's 100th edition celebration is going to be huge, it's a massive milestone for our iconic brand that has been loved by the fitness industry for 13 years and we want to celebrate with you! We have partnered with Bulk Nutrition and together we are hosting a free beachside health and fitness event. Join us for a morning of master classes and workouts by some of the biggest names in the fitness industry, check out the amazing stalls where you can buy the best gear for all your fitness and health needs and meet your favourite influencers. Burleigh Heads has it all on your doorstep – from serene green to golden sands with spectacular mountain views. Our world famous, patrolled beach beckons you to bask in the sun year-round; dip in the warm Pacific Ocean or revel in the renowned surf break at the headlands, locally known as “The Point” – a favorite for spectators soaking up the scenery. Burleigh Heads is considered one of the most beautiful breaks in the world. Explore heritage listed Burleigh Head's National Park – a rainforest reserve with abundant bird life, whale watching in winter and spring, winding walking trails with ocean views to reach sheltered swimming, snorkeling and kayaking at Tallebudgera Creek. Once home to the 5000-year-old Kombumerri tribe, Burleigh Headland or Jellurgal was a traditional festival and feasting ground still holds deep spiritual significance to indigenous Australians. Formed millions of years ago by a volcanic eruption, the Kombumerri people tell of how Jabreen the Creation Spirit stretched on awakening, and his long fingers can still be seen today as rocky formations protruding from the headland. Burleigh was settled as a quiet fishing village increasingly visited by tourists from the early 1900s which saw early development of restaurants and guesthouses; Burleigh has been the centre of beach activities for many years with a long history as a holiday haven. Burleigh is a dining destination, coffee connoisseur and food lovers' delight; boasting beachfront cafes and renowned restaurants, all while maintaining a unique seaside village vibe. Burleigh has its own art, craft & farmers markets; boutique and young designer shopping caters for all tastes; emerging artists and designers are celebrated at the local Village market. The tree lined parkland beside the sea is ideal for the kids with play areas, a pool and surf lifesaving club; enjoy cricket, picnics and barbecues; cycle or stroll the 4km long winding walkway overlooking the ocean or enjoy extensive exercise equipment. Sunday afternoons are spent lazing on the lawns entertained by local musicians and fire-twirlers. Within easy reach are the Gold Coast's tourist attractions from theme parks, wildlife parks, hinterland hiking amongst the waterfalls and mountains of the Gold Coast Hinterland and Scenic Rim. Broadbeach and Surfer's Paradise can conveniently and easily be enjoyed. 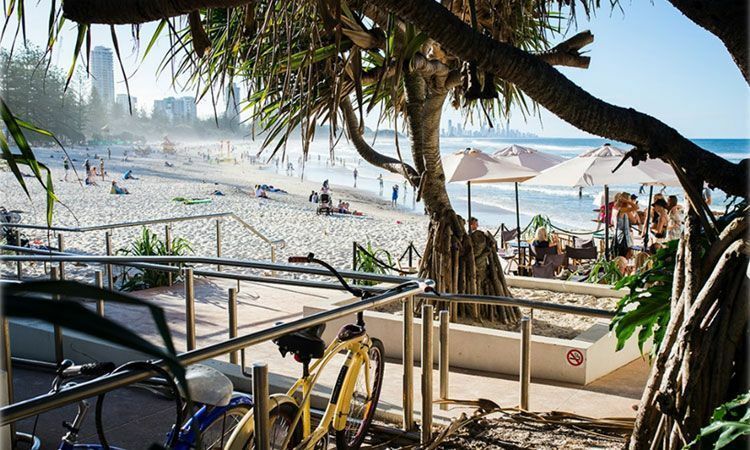 But for a true holiday with heart, Burleigh has it all – just ask the thousands of laughing rainbow lorikeets teaming the tall pine trees, they know where best to rest their weary heads – Burleigh, the heart of the Gold Coast! Available until the 31 st August 2018. What a beautiful 4 nights spent at this lovely hotel. Fabulous location right across the road from the beach and a myriad of restaurants and shops at your doorstep. The views were superb from our 13th floor apartment facing the beach. We booked a 3 bedroom 2 bathroom apartment and it was very clean, modern and spacious and quiet. Manager Keith and staff were very attentive, highly recommended. We booked a 1 bedroom room for a few days before Christmas. The rooms were top notch. Much bigger then we expected. Great decor inside and very clean. The location in my opinion is one of the best in the world. Staff were friendly and check in/ out was painless. We will certainly be recommending Ambience to our friends and family. Absolute beach front and right where all the good food places are! Shopping, eating and walking in the beautiful surroundings of the beach and walkways. We parked the car and barely used it again. Huge apartment great furniture fabulous balcony! all equals perfect holiday! Our first visit to Ambience. It was well placed for our trip to the Gold Coast. Great apartment with huge balcony and views to sea and the hills. Beach and shops within easy stroll. Pub outside the entrance. Free Yoga and Tai Chi Saturday, Monday and Wednesday morning at Burleigh beach. Just one of the regular free activities on the Gold Coast. Burleigh is becoming a ‘Must Visit Spot’ Then check out Burleigh Bakery at the top of James Street for coffee and THE BEST MUNCHIES. It’s time for the most vibrant, joyous beach festival of the year! Enjoy relaxing guided meditations and soulful sacred music as the full moon rises over the breathtaking Burleigh Heads beach. The perfect way to shake off the stresses of the week and welcome the weekend, bask in the all satisfying glow of kirtan. Join us for an incredible night of sacred sounds, moonlight, bhajans, community, and spiritual bliss! With a carefully-curated Asian fusion menu of contemporary dishes from Vietnam, Thailand and further afield, this Burleigh beachfront favourite not only offers lust-worthy views across the table but some of the most delish dishes we’ve tucked our knife and fork into. Firstly, quality over quantity is the name of the game here, so you won’t leave disappointed after the likes of soft shell crab on betel leaf, Rick’s famous Moreton Bay bug rolls (bucket list material, for sure), twice-cooked duck and massaman curry with pork belly. Hot tip – outdoor walk-in patio seats are all-time for a vino or beer with a view, plus that golden hour around sunset is extra magical, so plan your night accordingly. Without question, this is one of the absolute best restaurants in Burleigh, if not the Gold Coast. With just 28 seats and 45-square feet total floor space, a contemporary Lebanese bistro, is the Coast’s most intimate restaurant. Everything has been custom made; from the wine display racks that hang overhead, to the compact kitchen and bar combo that occupies a third of the venue. There are old world Mediterranean mosaic tiles, cosy corners and soft lighting that’ll make you immediately feel at home. We suggest nabbing the best seats in the house, along the bar that front the kitchen. From here, you can interact with Lebanese-born owner Patrick and his smiling team. How many other top-end restaurants can you find yourself ordering direct from the source with your fresh-off-the-chargrill dishes hand-delivered across the pass? Entertainment and theatre is a cornerstone of Lebanese culture, and here, it is all on show. 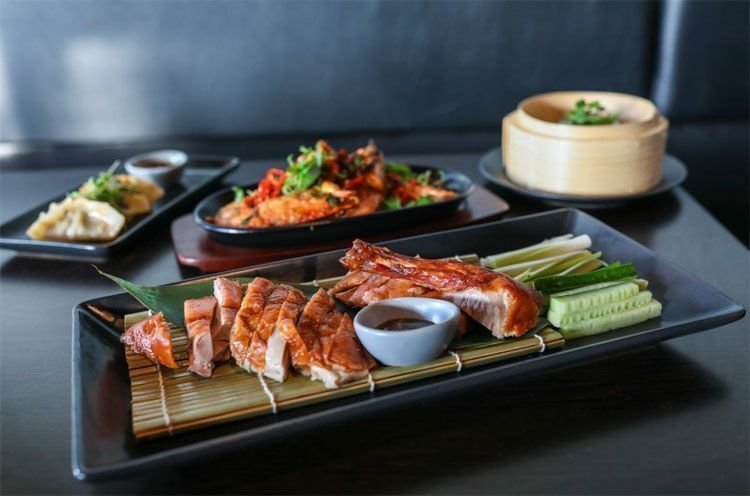 Given our love affair with Asian food, we rank Jimmy Wah’s high among the best restaurants in Burleigh. A contemporary take on traditional Vietnamese cuisine, you won’t find any upturned milk crates for stools or conical palm leaf and bamboo hats here. Open for both lunch and dinner, seven days, undo your top button in preparation for plates and plates of flavour-packed soft shell crab steamed buns, pho, bahn mi and tempura barramundi. 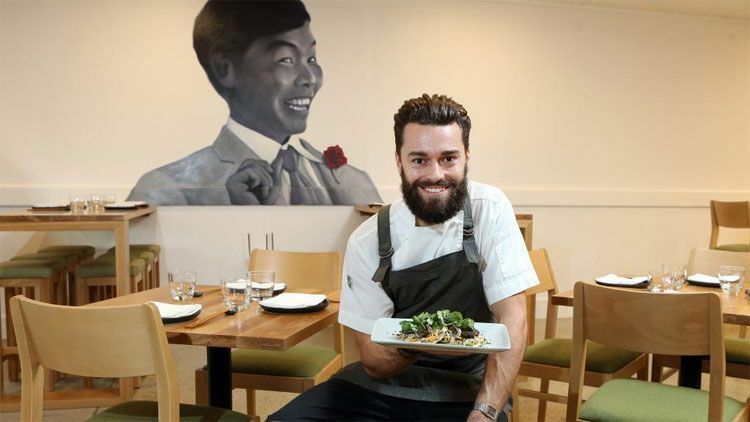 If you’re wondering who the cheerful face is smiling back at you from the wall mural, it’s the restaurant’s namesake, the cheeky character Jimmy Wah from the classic flick Good Morning, Vietnam; and he’s pleased to say, you’ve made a good choice. There’s nothing more memorable than a beautiful, intimate wedding or vow renewal on white sandy beaches and golden coastal sunsets. Our onsite registered marriage celebrant, Bronwyn Brown (Kindred Spirits Celebrant), can help you shape your perfect ceremony. There’s no need to spend hours searching for a Gold Coast Marriage Celebrant for your destination wedding – Bronwyn is here to make your wedding easier. You’ll have the opportunity to connect, plan and create your ideal ceremony ahead of your check in date, with all the worry taken care of from the moment you arrive. Visit https://kindredspiritsqld.com.au/ to find out more. My name is Joy and I’m the proud owner of Joy Philippe Photography, specialised in weddings and portraits. Aiming at capturing genuine emotions while keeping you comfortable in front of the camera, it is my priority that you focus on nothing else but each other on your special day. Nothing fills my heart with joy more than witnessing true love and I promise to help you create the ever lasting memories you deserve. I would love you to tell me more about your special day. And if you have any questions, please don’t hesitate to ask. Looking forward to meeting you lovers! Entertainment won’t just be confined to the sporting arena during the Gold Coast 2018 Commonwealth Games (GC2018).. The arts and cultural program will be a bold, aspirational 12-day program that inspires audiences and celebrates GC2018. It will be a force for good—supporting the Commonwealth Games Federation’s values of Humanity, Equality and Destiny, and using artistic and cultural programs to bring diverse audiences and communities together in celebration of these values. Festival 2018 will feature extraordinary and memorable artistic events that celebrate the spirit of the Commonwealth, reveal Queensland’s lifestyle, culture and creativity, and capture the authentic spirit of the Gold Coast and its communities. 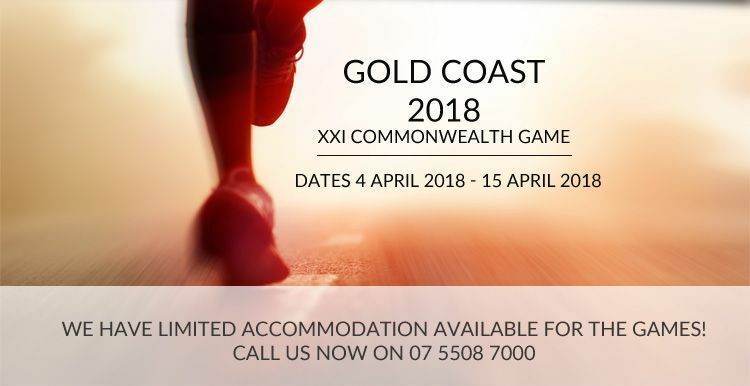 The program will feature a wide range of creative activities and events, generating a festive atmosphere during Games time throughout the Gold Coast. Spilling out from the stadiums, people will encounter arts and cultural events that capture the energy of the Games, showcase local talent, and reflect diverse abilities, perspectives and cultures. From major public art commissions to collaborations with performers and artists from across the Commonwealth, from live events to hands-on arts activities, the GC2018 arts and cultural program will have something for everyone. Explore heritage listed Burleigh Head’s National Park – a rainforest reserve with abundant bird life, whale watching in winter and spring, winding walking trails with ocean views to reach sheltered swimming, snorkeling and kayaking at Tallebudgera Creek. Burleigh is a dining destination, coffee connoisseur and food lovers’ delight; boasting beachfront cafes and renowned restaurants, all while maintaining a unique seaside village vibe. Burleigh has its own art, craft & farmers markets; boutique and young designer shopping caters for all tastes; emerging artists and designers are celebrated at the local Village market. Within easy reach are the Gold Coast’s tourist attractions from theme parks, wildlife parks, hinterland hiking amongst the waterfalls and mountains of the Gold Coast Hinterland and Scenic Rim. Broadbeach and Surfer’s Paradise can conveniently and easily be enjoyed. for the cooler months approaching us. hill walks and markets just to name a few at your doorstep. quoting #AMBIENCEONB7 or request booking now. 7 nights in a 1 bedroom apartment. 7 nights in a 2 bedroom apartment. 7 nights in a 2 bedroom plus apartment. 7 nights in a 3 bedroom apartment. Stay at Ambience Burleigh Beach for 3 or 5 nights mid week Low Season and SAVE. quoting #AMBIENCEMID or request booking now. This special is subject to apartment allocation and availability and for new direct bookings only. in a 2 Bedroom 2 Bathroom apartment. 3 Bedroom 2 Bathroom apartment. 3 Bedroom 3 Bathroom apartment. 5 night mid week special in a 3 Bedroom 2 Bathroom apartment. Oskars has been a highly respected name in dining on the Gold Coast for 33 years. Burleigh Heads is the ideal holiday destination on the Gold Coast and on offer is a large number of resorts with great Burleigh Heads Apartments. Ambience on Burleigh Beach is no exception and with its great location is an ideal accommodation choice for your next holiday. 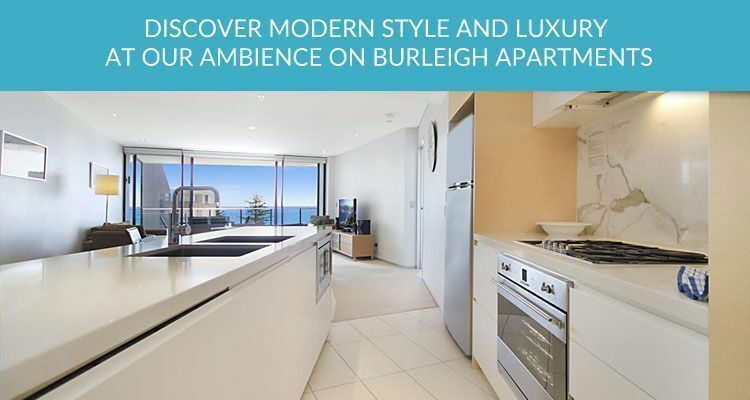 Ambience on Burleigh Beach offers modern Burleigh Heads Apartment Accommodation at the centre of the Gold Coast in one of the newest complexes in Burleigh. The building has been operating in Burleigh since 2008. 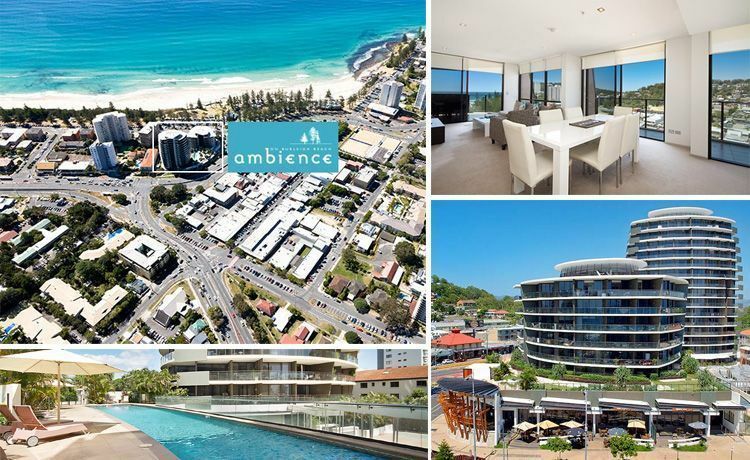 Ambience offers luxury high rise fully self contained holiday accommodation directly opposite Burleigh’s main patrolled swimming and surfing beach. We are approximately 20 minutes from the Gold Coast airport. There is public transport right outside the door. We are centrally located which makes getting around very easy especially if you do not have a vehicle. We are only minutes away from shopping precincts such as Pacific Fair and Robina. We have available 1 bedroom, 1 bedroom plus media apartments (suitable for 2 guests), 2 bedroom 2 bathroom, 3 bedroom 2 bathroom and also 3 bedroom 3 bathroom apartments. All apartments are spacious and are decorated in an individual style and sophistication with Full Kitchen Facilities, Private Balcony, Lounge and dining room, T.V. Austar and internet. Our 2 and 3 bedroom apartments also have spa baths. Facilities at Ambience include a 25 metre heated pool, spa bath, BBQ Area, and gymnasium with steam room and sauna. The local shops in trendy Burleigh are situated a short walk away. For your convenience Burleigh has specialized boutiques suitable for all ages, supermarket, butchers, bakery, numerous coffee shops and plenty more. A good variety of excellent restaurants suitable for all budgets as well as take-away shops are all on offer. If the beach and shops at Burleigh Heads are not what you are looking for, there is a wide choice of entertainment and sports available e.g. Theme parks, bowling, golf courses and movie theatres to name just a few. At reception we have a display board of all the attractions the coast has to offer and if required one of the staff can certainly arrange to book your theme park tickets. Please do not hesitate to contact one of our friendly staff to assist you with any queries that you may have and advise you of our special rates and any discounts that we have. 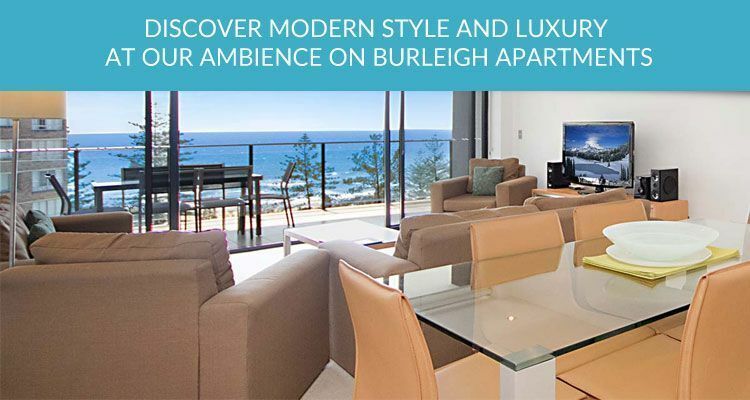 Ring us today and book your Burleigh Apartment Accommodation at Ambience on Burleigh Heads. Looking for great Gold Coast Accommodation in Burleigh Heads? Ambience on Burleigh Beach is the perfect choice. Ambience on Burleigh Beach, is situated opposite Burleigh Beach and 500m from lovely James Street, which consists of Boutique shopping, cafes, supermarket, banks. Ambience is the newest accommodation property in Burleigh Heads, our units are fully self contained, Ducted Air Conditioned, modern furniture, large Televisions, DVD players, stereo’s, Austar. large balcony areas, and all units do get an ocean view from part of the unit, except our 3 bedroom Ground Floor Superior Apartment, secure underground parking available at no charge. Facilities at Ambience are great with a 25m heated pool & heated spa with lovely area with sun lounges & umbrella’s, or sit by the BBQ area with table & chairs, fancy a workout while on holidays, then head to the Gym, try the treadmill, cross trainer, bikes or try your luck with the weights, then maybe head to the Steam Room or maybe the Sauna, gym also has change rooms and showers. Burleigh offers great dining restaurants, from Burleigh Surf Club or Burleigh Bowls, Chinese, Italian, Thai or fish & chips, or want something a little special then try Oscars – Great setting overlooking the beach or watch the sunset while having a drink at Point Break or Meshes. Burleigh offers great walking tracks, from nature walks to beach walks, or take the kids out on the scooters, skateboards or bikes on the path which runs from opposite Ambience to North Burleigh Beach and stop along the way for the special childrens playgrounds or try the workout equipment along the walking track. Ambience offers a Free Tour Desk or try our lastest Touchdex and book your day trips, theme park tickets, cruises etc 24/7, or come visit reception and we will take the hassle away and arrange everything for you. Ambience is a Great Holiday destination, were you can leave the car in the basement, and walk to all shops, cafes, restaurants, beach, great for families or couples wanting a relaxing, clean, modern apartment with friendly service. Looking for Burleigh Beachfront Accommodation?….. then Ambience on Burleigh Beach is the place to stay, we are situated opposite beautiful Burleigh Beach on the Gold Coast. Opened in 2008 – Ambience on Burleigh offers fully self contained apartments from 1 bedroom/1 bathroom to 3 bedroom/ 3 bathroom, all units are tastefully decorated with modern furnishing, large Televisions, DVD’s, stereos, Austar, and a must for the Queensland Summer heat – Ducted Air Conditioning. All Burleigh Heads Holiday Accommodation is situated in Tower 2, 15 stories building. Ambience has large balcony areas facing East, all units do get an ocean view of some aspect from the balcony areas, except our 3brm/2bath Ground Floor Superior Apartment which consists of very large balcony overlooking gardens, great unit for families with small children. Our Burleigh Resort facilities offer a suspended 25m heated pool & spa area, with sun lounges and umbrellas or enjoy a BBQ at our BBQ areas, or change of scenery try our fully equipment gym, consisting of the latest equipment – treadmill, cross trainer, bikes and weights then have a steam or sauna. The gymnasium also has change rooms and shower facilities. While on holiday and enjoying the Beachfront Accommodation at Burleigh Heads at Ambience take a walk down to the local Burleigh Heads shopping area of James Street, to find boutique shopping, cafes, restaurants, supermarkets and banks, or head across the road and try the great Burleigh Surf Club or Burleigh Bowls for lunch, or head back to Ambience to dine at the Burleigh Hotel. Try the fish & chips and take them up the Burleigh Hill and watch the sunset, perfect romantic dinner or family night out. Burleigh offers budget dining to a la carte overlooking the beautiful Burleigh beach. Ambience offers secure underground free parking and a Tour Desk with the latest Things to Do in Burleigh Heads or Gold Coast Area. We pride ourselves on offering great service to our customers. With so much to do at beautiful Burleigh Heads on the Gold Coast, ring us today for our latest accommodation specials and enjoy our Burleigh Beachfront Accommodation at Ambience. “Amazing location and beautiful building” … Ambience burleigh resort holiday apartments is centrally situated opposite Burleigh Beach on the Gold Coast an easy stroll to lovely James Street, which consists of Boutique shopping, cafes, supermarket and banks. The resort facilities at Ambience, are great with 25m heated pool & heated spa with lovely area with sun lounges & umbrella`s, or sit by the BBQ area with table & chairs, fancy a workout while on holidays, then head to the gym, try the treadmill, cross trainer, bikes or try your luck with the weights, then maybe head to the Steam Room or maybe the Sauna, gym also has change rooms and showers. Burleigh Heads offers great dining restaurants, from Burleigh Surf Club or Burleigh Bowls, Chinese, Italian, Thai or fish & chips, or want something a little special then try Oscars – Great setting overlooking the beach or watch the sunset while having a drink at Point Break or Meshes. 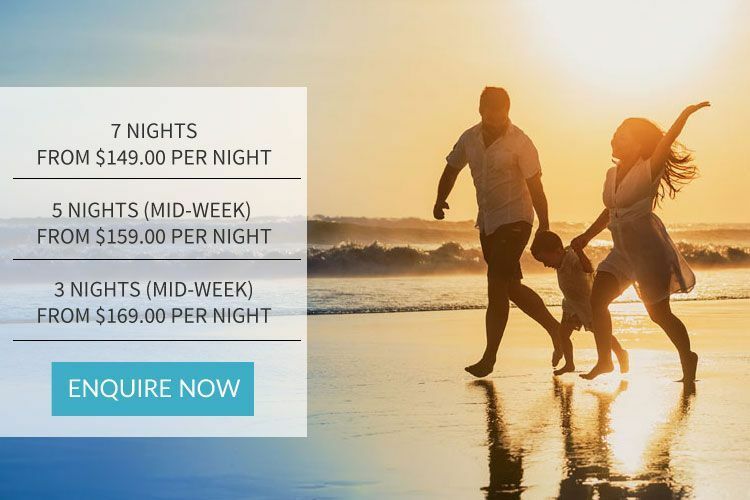 Ambience Burleigh Heads Accommodation offers a Free Tour Desk or try our lastest Touchdex and book your day trips, theme park tickets, cruises etc 24/7, or come visit reception and we will take the hassle away and arrange everything for you. Ambience is a Great Holiday destination offering Burleigh Heads Accommodation were you can leave the car in the basement, and walk to all shops, cafes, restaurants, Burleigh Heads beach. This location is great for families or couples wanting a relaxing, clean, modern apartment with friendly service. 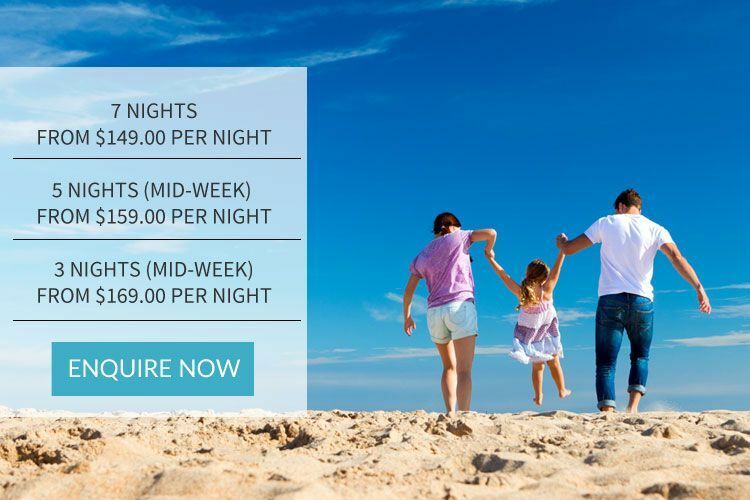 Ring us today at Ambience at Burleigh Heads Apartments and book your next Gold Coast getaway at Ambience – your amazing Burleigh Heads Resort Holiday Apartments.